We love your smile and want to help you protect it. Whether you are in need of routine dental exams or complex procedures, we have you covered! Welcome to New Age Dental Care where you can receive trusted dental services from a gentle and caring dentist nearby to O’Fallon, MO, and Chesterfield, MO. We offer friendly, caring, and competent dental services from an experienced local dentist. With our complete dental services, we can help you to protect your smile while taking great care of your teeth and gums. Whether you need a standard dental exam or a complex dental procedure, we will take care of all of your dental needs. At New Age Dental Care, we provide a wide range of different dental services to help you maintain the health of your teeth. We offer dental implants, wisdom tooth extraction, root canal therapy, and full and partial dentures. Our dental services also include porcelain and chairside veneers, metal and Invisalign braces, dental crowns and bridges, and more. 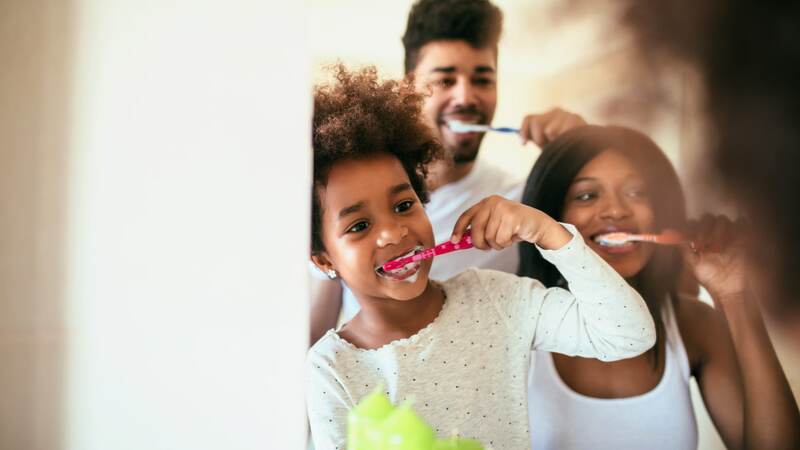 Whether you are visiting our dental office for a full mouth restoration or emergency dental service, you can be assured of receiving state of the art dental care. Dr. Kardaris and her staff of dental care professionals provide outstanding dental services for patients of all ages. After a full oral exam and teeth cleaning, she will put together a customized dental plan that is uniquely tailored to your dental needs. Your plan may include work done by the orthodontist such as metal and Invisalign braces. We may also recommend laser gum disease treatment or TMJ and headache treatment depending on your dental treatment needs. Contact our dental office for more information about our general, children’s and cosmetic dentistry services. Give us a call at 636.449.0215 to schedule a dental consultation today. Do you want to visit our Chesterfield office?